Disney's wonderful and ridiculously imaginative 16-bit platformer for the Sega Genesis, Castle of Illusion (starring Mickey Mouse! ), is one of the best games on the platform regardless of genre, and probably one of the best looking offerings of the era. 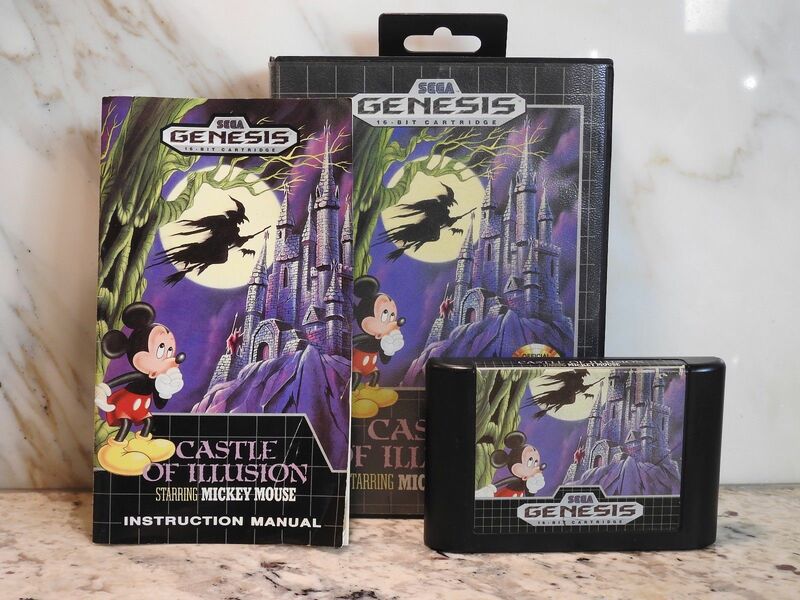 Oh, and you can bid on it via this Castle of Illusion (Sega Genesis) eBay auction for a boxed copy with manual.